Moray has long boasted some of Scotland’s best kept roads but there are fears it may soon surrender that status. The region’s network is still ranked as one of the best in Scotland, sitting fourth when compared to other local authorities. But figures released by Moray Council have shown that their condition has deteriorated year-on-year for the past four years. Members of the local authority’s Conservative group are particularly concerned that the condition of the region’s A roads are now ranked among the worst in Scotland. They have blamed the Scottish Government for underfunding the roads network, though SNP council leader Graham Leadbitter accused the Tories of making something out of nothing. The issue will be among those discussed today at a meeting of the local authority’s Economic and Development committee. The deterioration of Moray roads is measured via the Scottish Road Condition Maintenance Survey (SRMCS) which is used to calculate a Road Condition Indicator (RCI). That provides information about which sections of a network should be considered for planned maintenance soon, which should be investigated to determine when they should be fixed and which are in good condition. It reveals that 29.1% of the Moray road network falls within the first two categories, up from 26.9% in 2015-17. 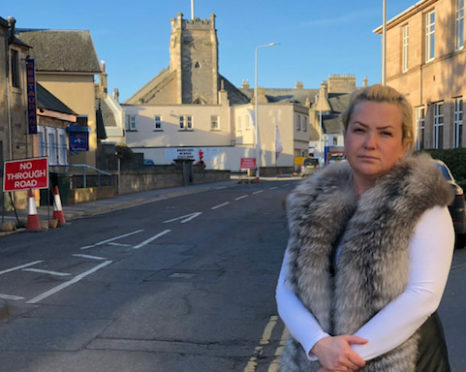 Conservative economic development spokeswoman Councillor Maria McLean, who represents Elgin North, said the deterioration of Moray’s roads was yet another symptom of the chronic underfunding of local authorities by the SNP Scottish Government. She said: “The condition of roads is one of the most commonly raised concerns I hear when speaking to people across Moray. “The road network is our biggest asset, with a value of £1.55 billion so to let it literally crumble beneath us is an absolute outrage. The council currently invests £2.042 million in the roads network per year. Graham Leadbitter, council leader and chairman of the Economic and Development committee, said: “While there are some road defects in Moray, that is similar to every other region. “The fact is the road network still remains one of the better performing when compared to other local authorities. “The Tories seem to be complaining about every single area of council spending while at the same time voting to cut budgets for public services.